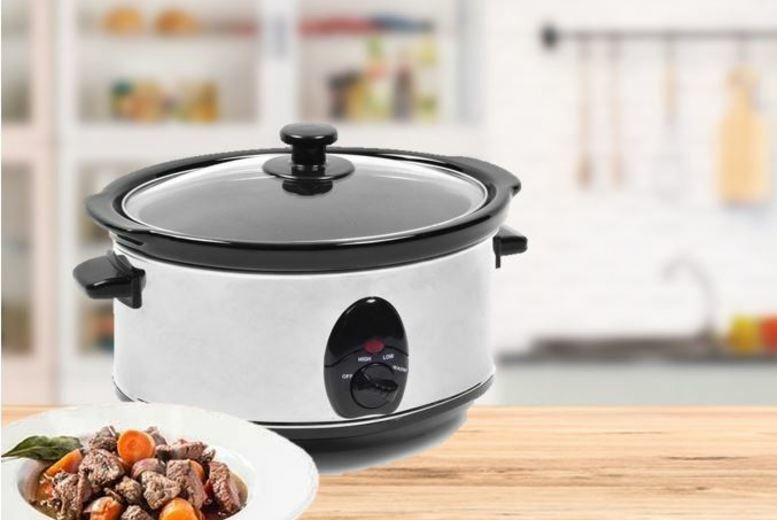 Get a fantastic 1.5-litre stainless steel slow cooker. Low, warm and high heat settings with a temperature light. Features heat-resistant handles, removable ceramic bowl, toughened glass lid and non-slip feet. Cooks for up to 12 hours retaining flavour and nutrition. Dismantles for easy cleaning. Whip up a storm throughout the colder months!